Well, this review started out as a review of the movie adaptation, but it didn’t take long for me to realize that what I actually wanted to talk about were all the things I really liked about the book – which, by and large, were exactly the things the movie utterly ignored. So while it likely comes as no surprise to anyone that yes, in fact the book is better than the movie, there is also just so much more to this story than the movie lets on. Now for those who haven’t seen the movie, for all intents and purposes the film centers on the angsty romantic quadrangle between Melanie/Jared and Wanda/Ian, with Melanie and Jared figuring the largest. Now to be perfectly honest, the Melanie/Jared getting-to-know-you scenes – the movie’s bread and butter – were always my least favorite parts of the book. It’s not that I hated them, but they just didn’t sweep me off my feet – as they felt a bit heavy handed to me, and also very, very Bella & Edward-like (i.e. being afraid to touch, feeling an electric connection, avoiding eye contact, having to wait to consummate their relationship, etc). But what I did enjoy about those vignettes (in the book) was how they brought with them a sense of urgency, a sense of being hunted, in a way that colored and heightened every stolen moment between the pair (whereas the movie sadly sabotaged a lot of that). So while I was sympathetic to both Melanie and Jared, for the impossible situation they find themselves in, what I actually really loved about their relationship was how it all affected Wanda, in how it ultimately laid the groundwork as to why Wanda was swayed to the human cause. So for me, while the Melanie/Jared pairing worked well in context, it was nowhere near strong enough to work as a stand-alone, a raison d’être – which is how it was dealt with in the movie. But now we’ve come to the heart of the matter – because the heartbeat of this story was never the love quadrangle; no, it was always the relationship, the love story (in a manner of speaking), between Melanie and Wanderer. THAT, ladies and gentleman, is the main event, that’s what this entire story is about (though you’d never know it from watching the movie), and that is what I most enjoyed about this book. I really loved how these two beings – different species, enemies, each the other’s feared and hated Other – slowly came to understand, then tolerate, and finally genuinely care about each other. THIS was the impossible relationship I was rooting for throughout the book, the relationship I cared the most about – because how can these two possibly both live when they need the same body to survive? And yet as they grow closer, as they mean more to each other, they can’t help but hurt each other more – and jealousies and resentments play out between them in so many interesting ways, with Wanda replacing Melanie in some ways, and yet never being able to make up for Melanie’s loss in others. And worse, Wanda’s feelings for Melanie and family only lead her further and further away from her own species, and further and further down a path unhealthy to being what she is – for how can a parasite survive if she no longer wants to take her host’s life? It all builds beautifully to the final, inevitable, necessary choice between the two – for in Harry Potter parlance, neither can live while the other survives – and it makes for a lovely story of sisterhood. Really it’s just wonderful storytelling all around. And key to so much of this story is the question of what humanity is. In many quantifiable ways, the Souls are better than humans – they’re gentle, caring, kind, more humane – and it was easy to understand why they would feel they had made Earth a better place. And similarly, in so many interesting ways the monsters of this story WERE the humans – with their violence, hatred, and brutality – and yet this story never let that easy answer stand. Wanda would be horrified by what she witnessed of human cruelty, and then Uncle Jeb would be there to point out that the Souls, for all their kindness, had hardly left the humans with another choice – and the fact that Jeb was moved to explain, to kindness, to compassion, while dealing with a parasitic alien made for the ultimate proof of humanity in and of itself. All in all I just loved that juxtaposition – how Meyer played with the idea of who the good guys and bad guys really were, of who was truly humane, and how Meyer shifted and blurred the boundaries between Us and Them. It all made for a lovely through-line to this story. So in the end, while this book may be light on sci-fi tech and explanation, and heavy on the romance, as a story of humanity, and as a love story between two friends, it really, really works. So yes, there is far more to this book than meets the eye on-screen – and I am very much looking forward to seeing what happens to Wanda and Melanie in the next two books. Ms. Meyer manages to take a set of science ficion standbys, but through her vivid characterizations, makes the story completely unique. 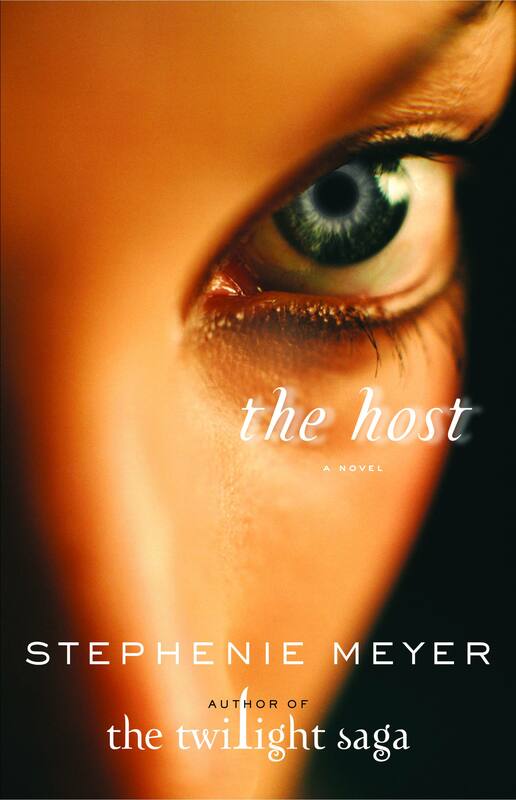 The Host isn’t really about saving the planet from alien invaders; it is a story about what it is to be human, about identity and about individualism. Most of all The Host is a story about the nature of love. Romantic love, love of family, love of friends – all of these emotions are explored by Wanderer as she first succumbs to Melanie’s emotional memories then succumbs to the emotions for herself. omg there’s two more books? anyway – i think you summed up perfectly how i felt about the movie. having never read the book, i felt that the melania/wanda relationship was very poorly developed. and the flashbacks between melanie and jared did not really give my much insight into either of their characters except to say that they are stupid in love with each other. that’s why it was a little hard to reconcile why melanie would be so sad to see wanda go. i knew there was something missing from the movie and i think that connection between the two main characters (wanda and melanie) was it. i do think the premise is pretty interesting though so i think i will probably check out the book. YES – Melanie was just not a real character in the movie at all, and it was such a pointless waste. I mean, how hard would it have been to throw Melanie a bone? A few moments of screen-time where she’s not kissing Jared in the rain, is that too much to ask? And they could have gotten so much more creative with the Melanie/Wanda conversations – I mean, did we learn nothing from Gollum? Sigh. i know, melanie was so underdeveloped. and yes, the inner dialogue between the two was mostly just melanie sounding whiny and/or angry. i just didn’t see where they came to any kind of mutual respect or like of each other. wanda actually ended up being a much more sympathetic character to me. haha – gollum! love that.